Vipassana is a Pali word (the Sanskrit is vipasyana) that means 'insight into reality' or 'to see things as they really are'. In reference to Buddhism, it refers both to a form of meditation, and to a specific movement within contemporary Buddhism. 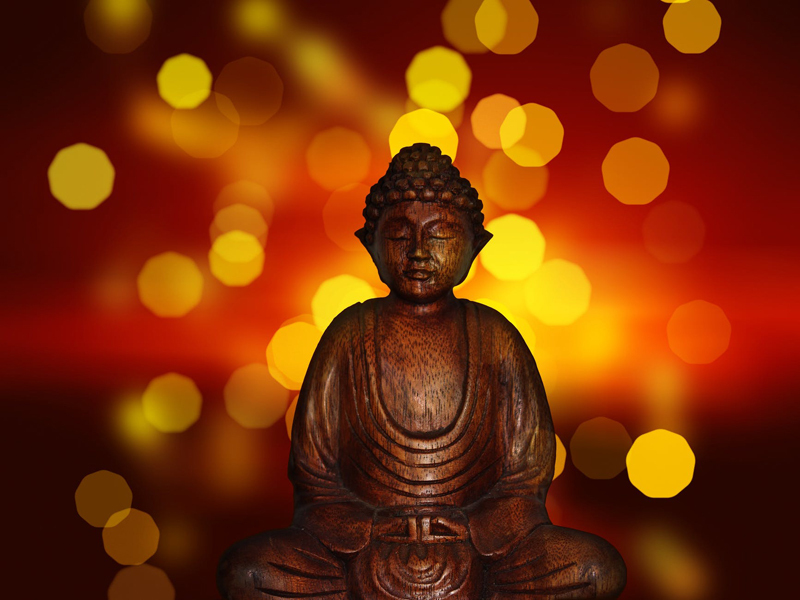 Vipassana, or insight, meditation is part of virtually every Buddhist tradition to some extent, but contemporary schools that use it as their sole or primary meditation form are now sometimes referred to as Vipassana Buddhism. Vipassana/insight meditation is one of the oldest forms, derived directly from the Buddha's teachings. It is the primary meditation form in Theravadin Buddhism, although it is also used in Mahayana lineages. In Vipassana/insight meditation, we observe our own mind, seeking insight into the roots of our thoughts and the foundations of our awareness. This is sometimes contrasted with 'samatha' meditation forms, which involve concentration on an object, sound, chant or visualization. In some schools, both forms of meditation are used together, with samatha techniques employed to quiet the mind, and Vipassana techniques employed to understand what disturbed it in the first place. Vipassana meditation is sometimes discussed in terms of two types - contemplative and experiential. In the former, we contemplate Buddhist teachings such as the Four Noble Truths, or the Three Marks of Existence, to gain direct and personal insight into them. In experiential meditation, we observe the nature of our own sensations, thoughts, and emotions, seeking to understand their roots. In both cases, the fruit of practice is the direct experience of the transitoriness of all that we usually associate with our sense of an 'I' or self. Vipassana is also a contemporary movement within Buddhism, modeled on the oldest Buddhist school, Theravadin Buddhism. In the West, the terms Vipassana and Theravada are often used interchangeably. The Insight Meditation Society, featuring well-known teacher-authors such as Joseph Goldstein, Sharon Salzberg, and Jack Kornfield, is a leading Vipassana teaching organization. Another growing movement is led by S. N. Goenka, founder of the Vipassana Meditation Organization. Both are non-sectarian, and have thus had a wide appeal. Vipassana retreats for laypersons (non-monastic Buddhist practitioners), organized by both of these organizations (and by others), have also gained in popularity in recent decades, representing a new development in lay Buddhism. Typically ranging from 2-10 days, these retreats are done in silence, with hours of either walking or sitting meditation each day. They vary in strictness, with some encouraging no movement or talking, and others more relaxed. In both cases, the purpose of such restrictions is to observe and work with the desire itself to talk or move, so that these may be understood and/or released. The following two books are good introductions to Vipassana/insight meditation, each written by a leader of one of the two organizations described above. The first is by Joseph Goldstein of the Insight Meditation Society, and the second by S. N. Goenka of the Vipassana Meditation Organization. Or, if you prefer e-books, note that this article is included in my e-book Introduction to Buddhism and Buddhist Meditation.